Can a Furnace Rust in Cincinnati? Homeowners expect rust and other corrosion to strike boilers, since they circulate water, and heat pumps, since they use condensation as part of their heat exchange. Although neither system should rust (they have built-in precautions), it doesn’t surprise people that it sometimes happens. But what about a gas furnace? Furnaces do not use water, so it seems impossible that they could rust. But they can and they do. Aside from the presence of moisture in the air, there are a number of factors that contribute to corrosion developing on your furnace. Rust requires repairs to remove it and stop its source; in some cases, you may require a new heating installation in Cincinnati, OH to replace a rusted furnace. Regardless of what your corroded furnace needs, Greater Comfort Heating & Air Conditioning, Inc. ® can help you take care of it. Why does a furnace rust and why is it a problem? One of the immediate causes of rust is moisture that enters the ducts and into the furnace. But the corrosion that leads to rust doesn’t necessarily need water. It can occur because of the reaction of combustion gases and metal. If a furnace has poor ventilation, the contact between the metal and the gases will increase and speed up the rusting. However, a furnace that is old enough will eventually start to corrode because of long-term exposure. Because furnaces are usually placed beneath air conditioning units, water dripping from a faulty AC (usually overflow from the condensate pan) can also cause rust to occur. When this happens, you’ll need repair on the AC unit as well as rust-removal to stop the problem. Rust can cause numerous problems with a furnace, such as clogging up the burner unit so the gas jets will have trouble igniting. The most dangerous problem, however, is when rust affects the heat exchangers. This can cause cracks to develop and exhaust gas to leak—a hazardous situation. This is one of the reasons you should have trained technicians investigate rust on a furnace immediately. If your furnace is over 20 years old and it begins to rust, it may simply be best to have it replaced with a new unit. Any furnace that manages to make it past two decades has already delivered its owner immense savings. Deciding how to heat your new home or how to upgrade your current heating system in Cincinnati, OH involves several stages of planning, consultation, professional installation and service. It is a big decision, in part because it significantly impacts your everyday comfort, and because you will rely on your heater for years to come. The process of learning about your heating options does not have to be daunting, however. Call Greater Comfort Heating & Air Conditioning in Cincinnati, OH today for expert advice. We will work with you to design a home heating system that is effective and efficient. There are a variety of different options on the market today. Today, I’d like to focus on three different options: furnace, air-source heat pump and ductless mini split heat pump. Each have their advantages and disadvantages and all boast high-efficiency ratings. As all homes and homeowners are different, so should their heaters. At Greater Comfort Heating & Cooling we can help you make the right choice. The furnaces of today are very different than those of yesteryear. Gas furnaces are high-efficiency units, with an AFUE (Annual Fuel Utilization Efficiency) rating of up to 98%.Furnaces that use oil or electricity are also options that may work for your home. The trick is balancing upfront costs with long-term cost-benefits. A heat pump is appropriately named: it uses electricity to move heat from outdoors into the warmth of your house. Because they move heat, rather than a generate heat, they can produce up to 4 times the amount of energy they consume. Their efficiency has served many customers well. Some systems use a gas furnace as a backup to supplement the heat pump on particularly chilly evenings. If you do not yet have ductwork in your home, or do not want to go to the trouble of having it installed, a ductless mini split heat pump may be your best bet. They offer a sleek design and high-efficiency. From hyper-heating inverters to multiple zone units, your local heating technician will work with you to find the best solution. Greater Comfort Heating & Air Conditioning installs and services York, Lennox, and Mitsubishi heating systems. To find out which heating option is right for your Cincinnati, OH home, please give us a call today. Cincinnati Furnace Guide: Why Install a Lennox Furnace? Replacing your furnace is a big project that requires homeowners to think carefully about the characteristics they want in their new furnace. Here at Greater Comfort Heating & Air Conditioning, we take pride in the reputation that we’ve built up throughout the Cincinnati area. We recommend Lennox furnaces because they have the same commitment to excellence that we do. Here are a few of the reasons that we recommend Lennox furnaces to our customers in Cincinnati. In the race for the most efficient furnace, Lennox is the leader. Furnaces are given an AFUE rating to describe how efficient they are. The AFUE rating represents what percent of the fuel consumed is actually turned into usable heat. Older furnaces typically had an AFUE of 60% which meant that they wasted 40% of the fuel that they burned. The Lennox SLP98V furnace has an AFUE rating of 98.2% which is the highest rating of any furnace on the market. When you’re looking to seriously take a dent out of the amount of energy that you use at your home, getting a high efficiency furnace is a great step. When you want the most efficient furnace available, get a Lennox. Noise is another common complaint that we get from our customers. If you’re tired of waking up in the night to the sound of your furnace kicking on, call Greater Comfort Heating & Air Conditioning for new furnace installation in Cincinnati. In addition to having the most efficient furnace available, Lennox also has the quietest furnace. The SLP98V offers unparalleled efficiency as well as being the quietest furnace available. When you’re interested in having a new furnace installed at your Cincinnati home, call Greater Comfort Heating & Air Conditioning. 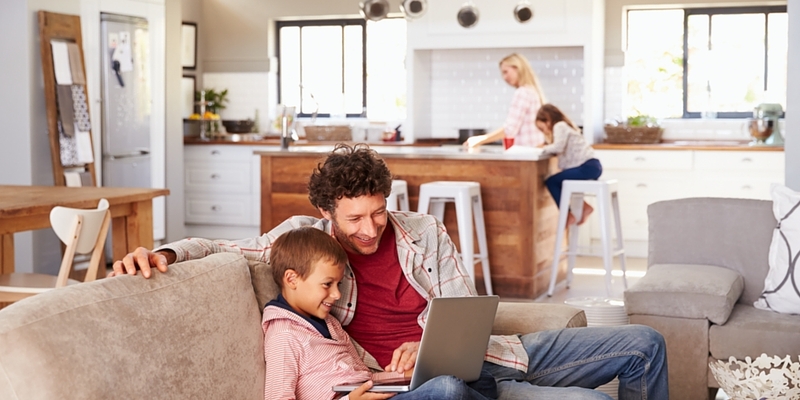 We can help you pick out a furnace that matches your home’s needs and your budget. Lennox offers a complete line of furnaces for homes of all sizes. Call us today! When you schedule your boiler installation service with a qualified, professional heating service provider you can expect an efficient, dependable performance from that boiler. High-quality repair services and routine maintenance will help keep that boiler operating at maximum potential for years to come. Unfortunately, no heating system available can last forever. Making the decision to replace the boiler in your Cincinnati home can be difficult. With the advice and services offered by the experts at Greater Comfort Heating & Air Conditioning, Inc.®, though, you can be sure that you are making the best decision about your boiler replacement. One of the major indicators that there is a problem with your boiler is any sudden drop off in the efficiency with which your boiler operates. There are a lot of possible causes for an issue such as this, and it may not necessarily mean that your boiler must be replaced. There comes a time, though, when your boiler can be repaired but may not justify that expense. Consistent increases in the cost of operating your boiler and the cost of frequent repair services can actually wind up being more expensive than a boiler replacement. Just because a heating system can be repaired does not necessarily mean that it should be. If you are experiencing these issues consider the amount that you are spending to keep this boiler operating. You may find that a replacement boiler, while certainly an investment, will save you money over the course of time. Plus, if your boiler is getting on in years it may not be as efficient as newer models even when operating at top performance levels. Technology and efficiency expectations have come a long way in recent years. Your boiler may be working as efficiently as the day you bought. That does not mean that what was considered highly efficient back then can compare to the efficiency of more modern devices. The best way for you to be sure that you are replacing your boiler for the right reasons is to speak with a professional heating company in Cincinnati. Contact Greater Comfort Heating & Air Conditioning today to discuss your boiler replacement options. We’ll help you decide if a boiler replacement is your best bet for complete, affordable comfort. Are you wondering whether or not it’s time for a new heating installation in your Ft. Thomas, KY home? Whether you heat your home with a furnace, heat pump, or boiler, the technology has improved enough to consider a more efficient model. At Greater Comfort, we have many new heating installation options for you to choose from, and we’ll help you make the right choice. Here are some questions to ask yourself to help you decide if you may want to upgrade to a new heater. Do you have extremely high heating bills? If you have an old single-stage furnace or heat pump, you may benefit greatly from a new multi-stage model. Older furnaces and heat pumps that have only two cycles waste a lot of energy. Have one of our technicians test your system to see how it is performing. If it is below 80% then you probably want to upgrade to a more efficient system. Boilers apply here too. There are many new boiler systems that are better at heating your home, and even your hot water, better than ever before! Does your heater require a lot of repairs? If your heater is racking up repair costs every season, it may be time to replace it. While routine maintenance should help lower the need for repairs, all heating systems will eventually need to be replaced. Call us if you have any type of repair need, and we’ll let you know whether or not you could benefit from getting a new heater. How well is your heating system? If you notice that your heater is not able to maintain comfortable temperatures, or if it seems to be providing inconsistent heat, you may be better off investing in a replacement heating system. Or it could be time for a smaller upgrade to a better air handler, thermostat, or even new ductwork installed. There is, of course, the initial cost of the installation and the heater itself to consider, but also keep in mind that over time the potential energy savings can help offset this expense. Call the Ft. Thomas, KY heating installation experts at Greater Comfort today to schedule a consultation!